We need to talk about potatoes. 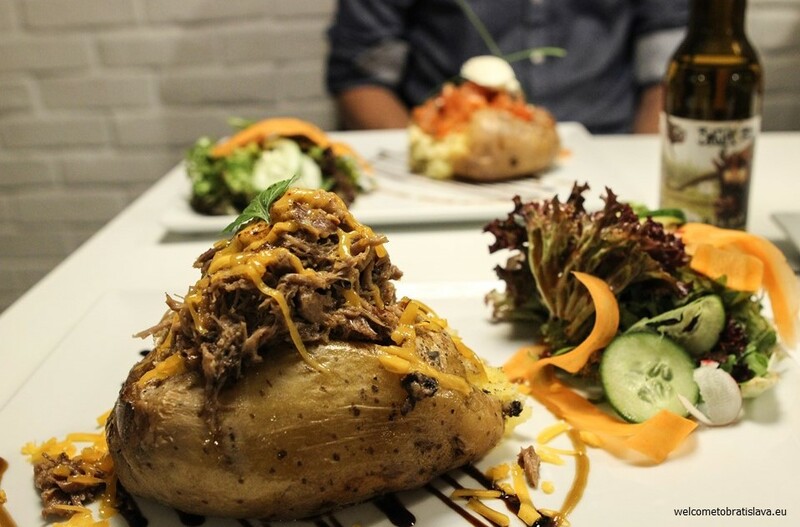 More specifically, the stylish new restaurant in Old Town – Krumpla – that serves potatoes. Delicious, steaming hot potatoes with extra fluffy insides, crispy seasoned skins, and voluptuous scoops of homemade fillings. In Britain this dish is called a “jacket potato,” while our American readers will recognize it as a loaded baked potato. And though the idea of a roasted potato loaded with toppings is rather old-school in these countries, across the rest of Europe it is quickly becoming a street food scene darling. 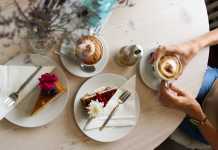 Lauded chef Michal Šafárik has thankfully taken this concept off the street and created a much needed spot in Bratislava where comfort food and trendy dining don’t have to fight for space in our hearts – or dinner plates. 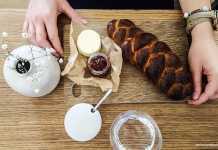 It is noteworthy that a restaurant that transforms the humble potato into elevated dining should open its first brick-and-mortar location on the city’s most traditional shopping street, Obchodná. With a front row view of the castle, the brick-lined street and walkways, and an iconically European tram line running smack down the center of the road, Obchodná feels like street from another decade. The decades before capitalism swept through Central Europe, to be exact. As locals will tell you, before the shiny glass malls and major name brand stores ruled Slovak commerce this shopping area was once alive with traditional mom-and-pop shops and excited shoppers. While the “heart of Old Town” has seen more glamorous days, there is tremendous potential, too. Little by little Obchodná is seeing a resurgence. Ultra hip Foxford found its home here and now Krumpla has taken residency just across the street. 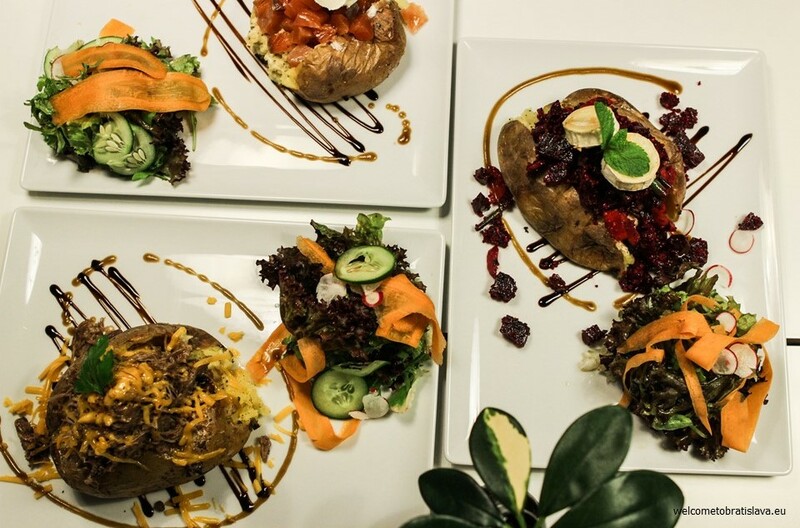 Slovakia’s beloved potato served with a gourmet twist can be enjoyed on the classic street of a bygone time. We find this beyond charming! 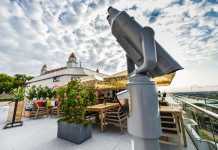 Continuing with the homey meets upscale theme, the overall style and vibe here equal parts relaxing and cool. The on-trend white brick walls and purposefully weathered wood siding could be featured on the cover of Môjdom (or let’s say Apartment Therapy for you non-locals). 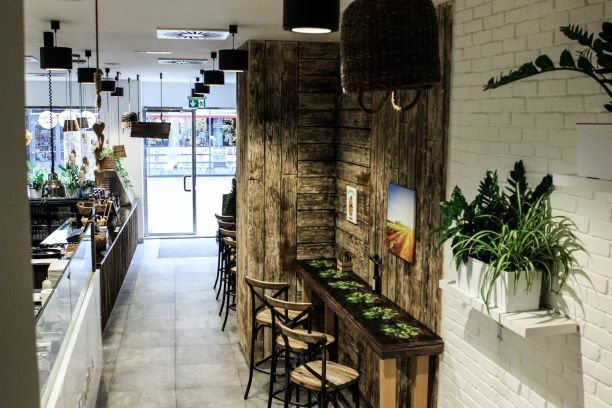 For a relatively smaller space, the layout is quite functional and the dining area is spacious enough to support a thriving lunch-time rush, though you and your dinner companions won’t feel like you are eating in a cafeteria after hours. 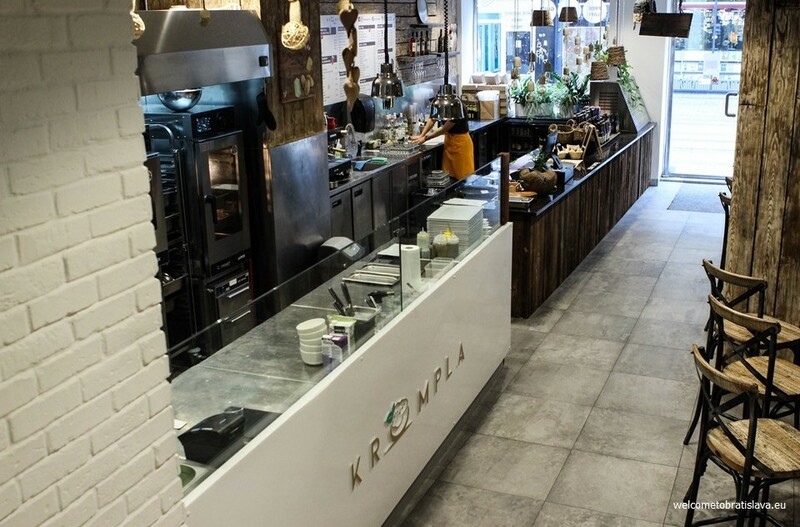 Actually, we recommend Krumpla as a fun spot to visit with friends after work – or even enjoy with a date – when the occasion calls for something trendy but you still want the meal to look fancy! 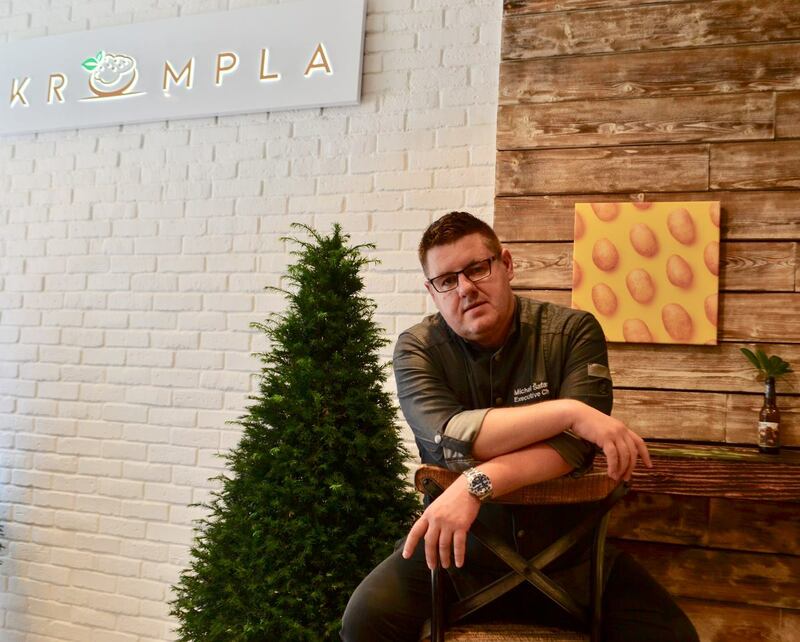 When we mentioned chef Michal Šafárik was lauded, we really meant it. Before returning to Slovakia after the birth of his son, Šafárik lived in Britain for fifteen years cooking for talents such as 50 cent and French DJ David Guetta. Oh, and working for a certain Mr. Jamie Oliver for two years or preparing catering for members of the royal family . . . But home is home. 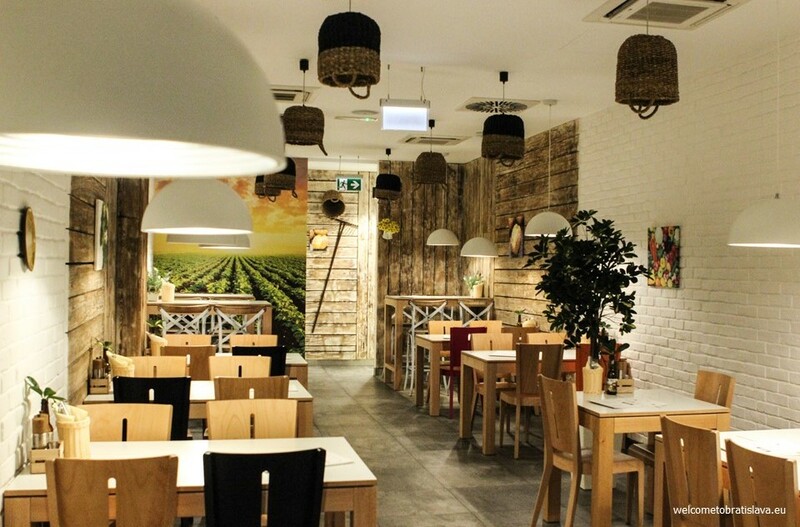 And lucky us, the years of upscale training and love of traditional favorites has inspired a restaurant totally unique to Bratislava. We can now enjoy “loaded baked potato night” (a meal staple in households across the US, Britain and other Anglicized nations) right here in Central Europe. Jokes aside, customizing your meal is part of the fun here. As the handy instructional menu will tell you, first you order the size of your potato (or salad option if you go that rout), the yummy filling of your liking, then comes add-ons like sauce and garnish. There is even a whole list of chef-approved combos if you can’t decide. And you can always try something new the next time you visit, which we bet you will. If you have special dietary restrictions, no worries – vegetarian and gluten-free combos are available. 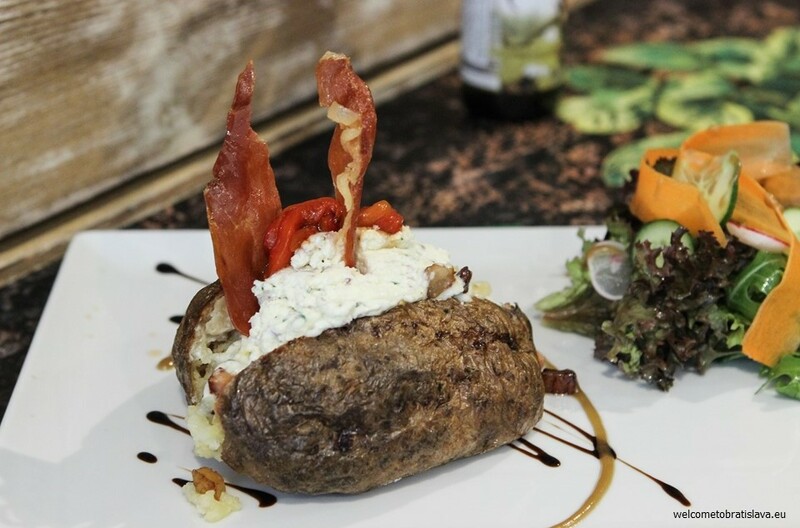 We definitely recommend trying the special – a potato with our traditional bryndza (Slovak sheep cheese) filling and crispy bacon! 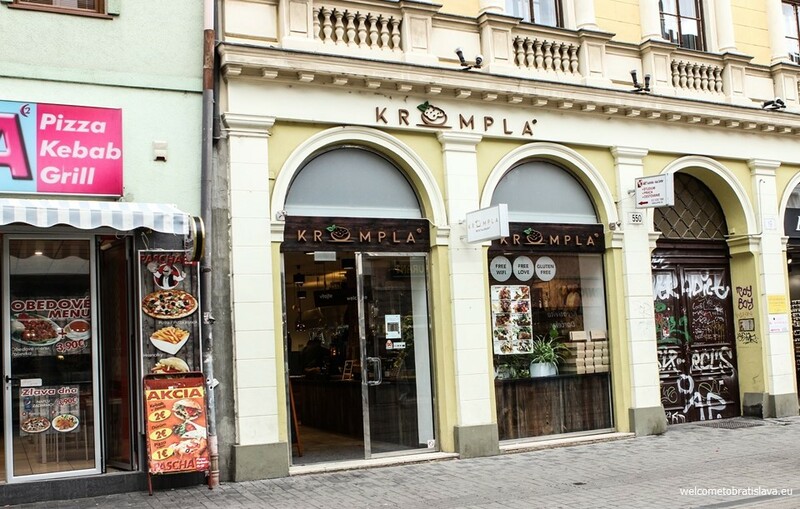 Some final thoughts for those of you who are dying to eat here but can’t commit to a full-blown dinner event: try Krumpla for lunch or take away! On weekdays the kitchen offers two lunch specials from 11:30 to 14:00 which are not only slightly more affordable, they come with soup. SOUP! Do get there early, though – it fills up fast.